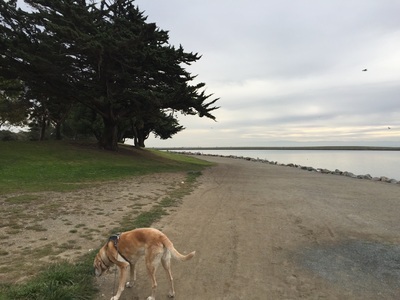 Hours: 1/2 hour before sunrise to 10 P.M. 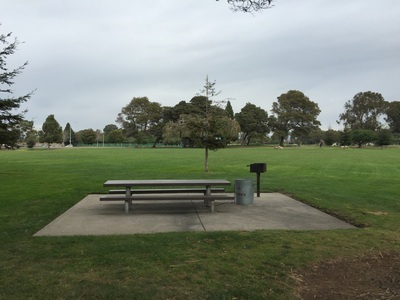 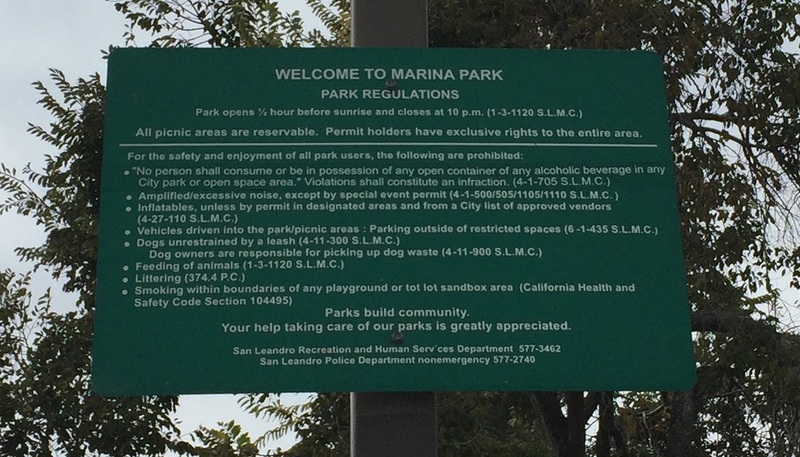 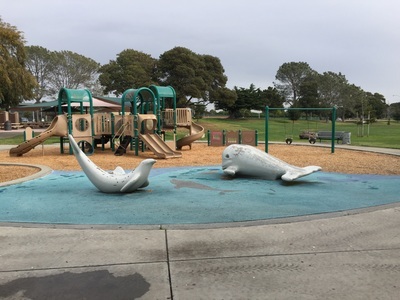 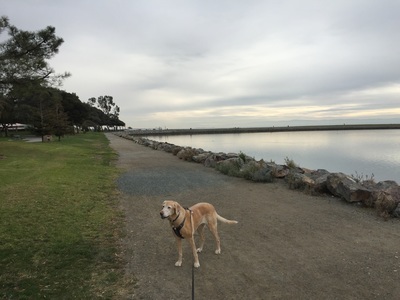 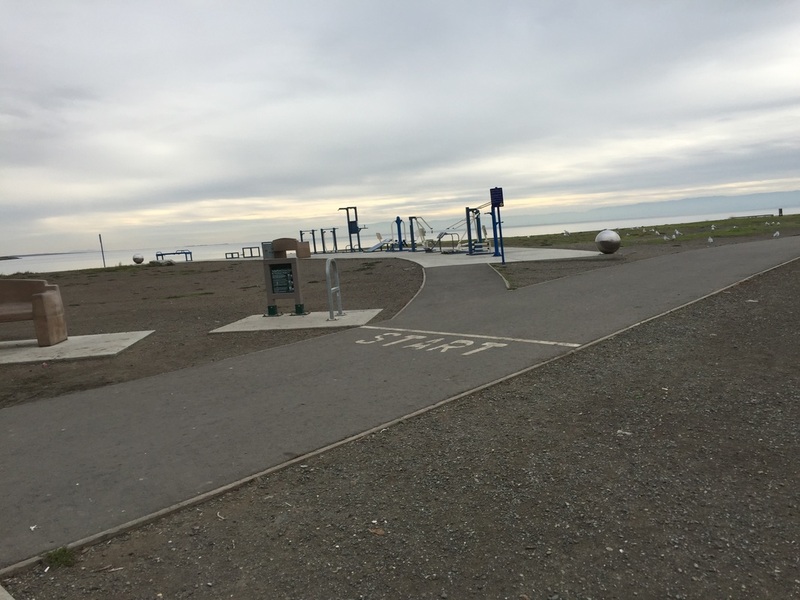 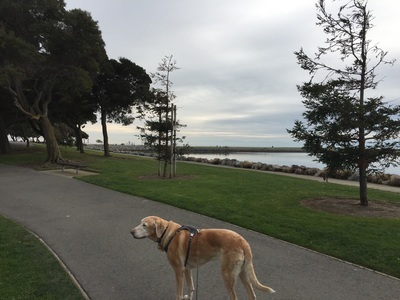 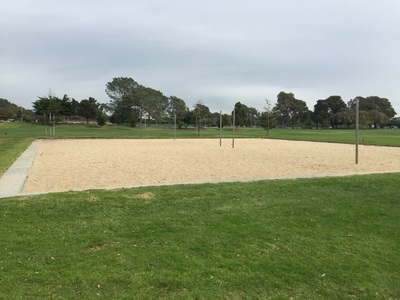 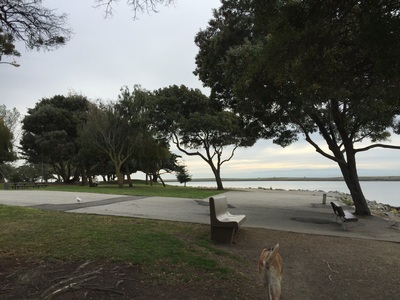 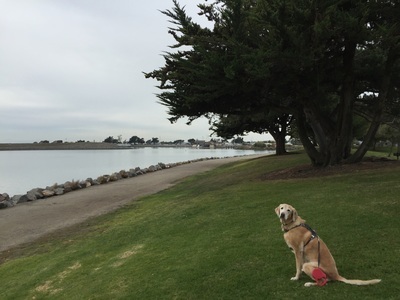 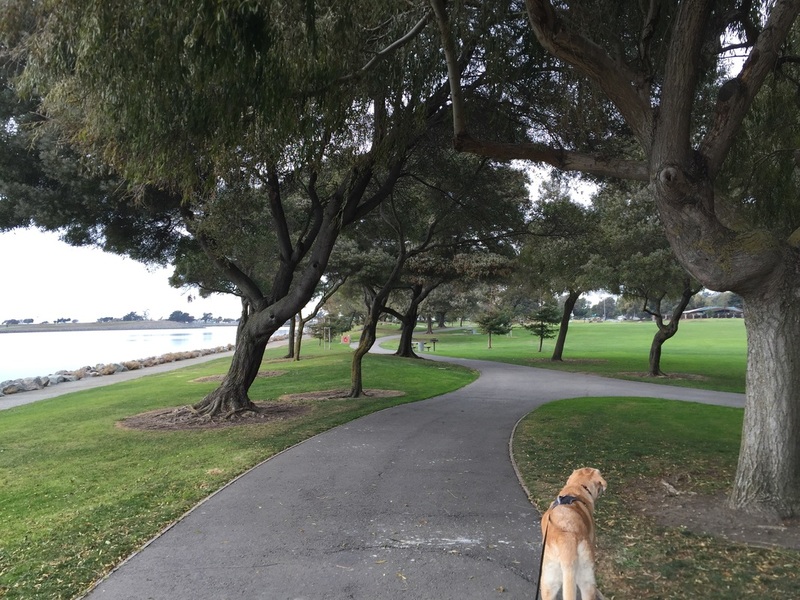 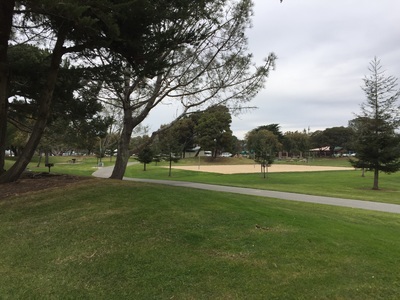 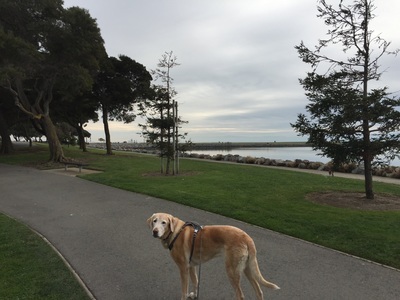 Description: This is a beautiful 30-acre park features shoreline trails, bay views, grassy areas, and even a 58,000 sq ft dog park. The trails are partially shaded and usually have a gentle bay breeze, so it's usually cool in the summer. There is a mile long fitness trail, with many stations featuring basic workout equipment. 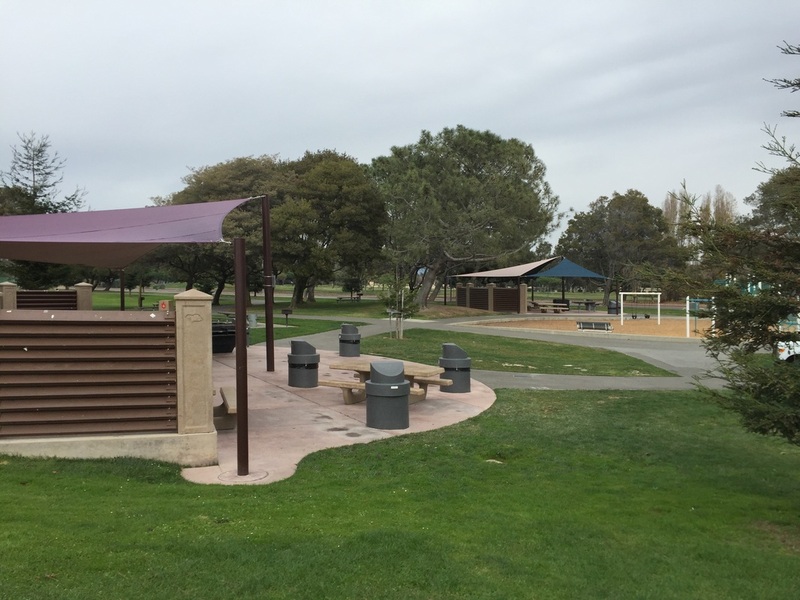 There are picnic tables, bbq pits, and even large, covered tables with huge bbqs available to reserve (April-October). 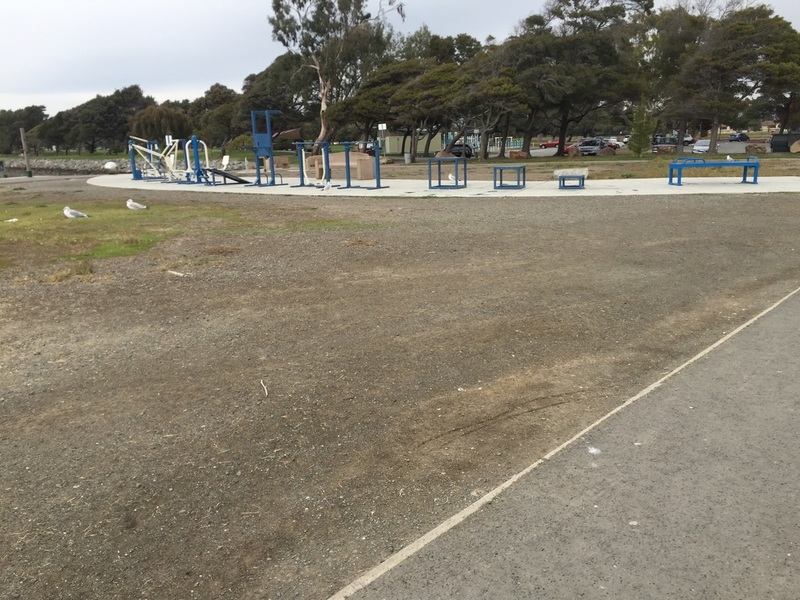 There are several play structures for the kids dispersed throughout the park, and even a volleyball court. 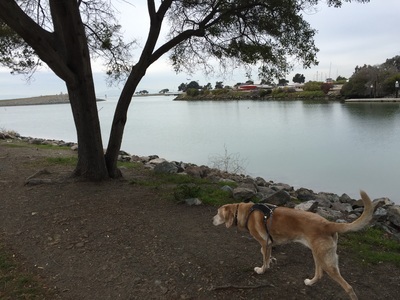 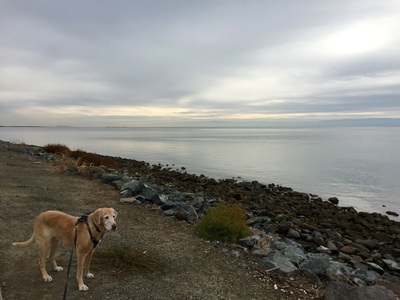 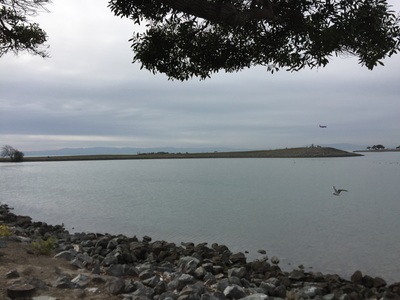 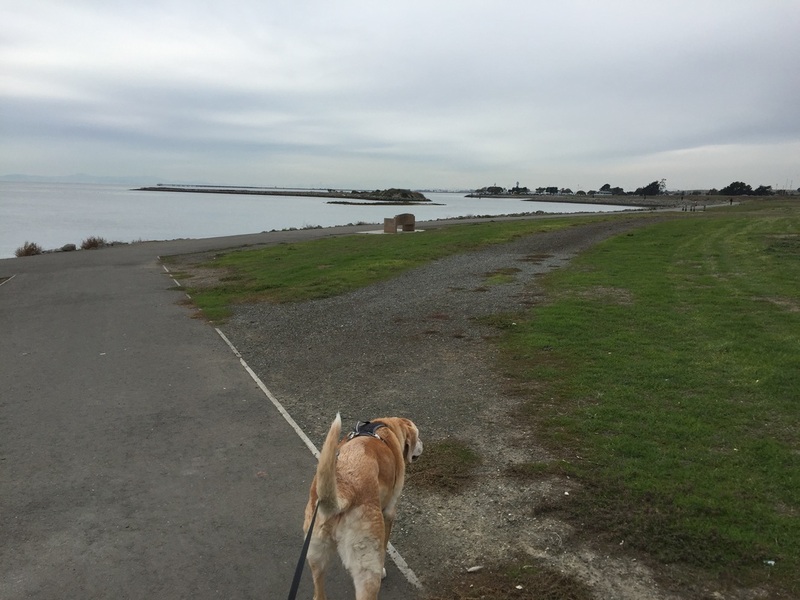 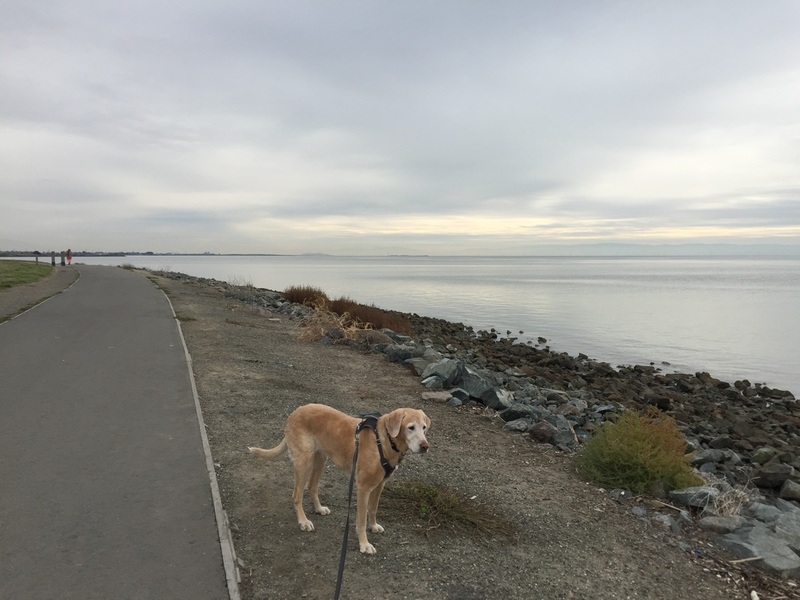 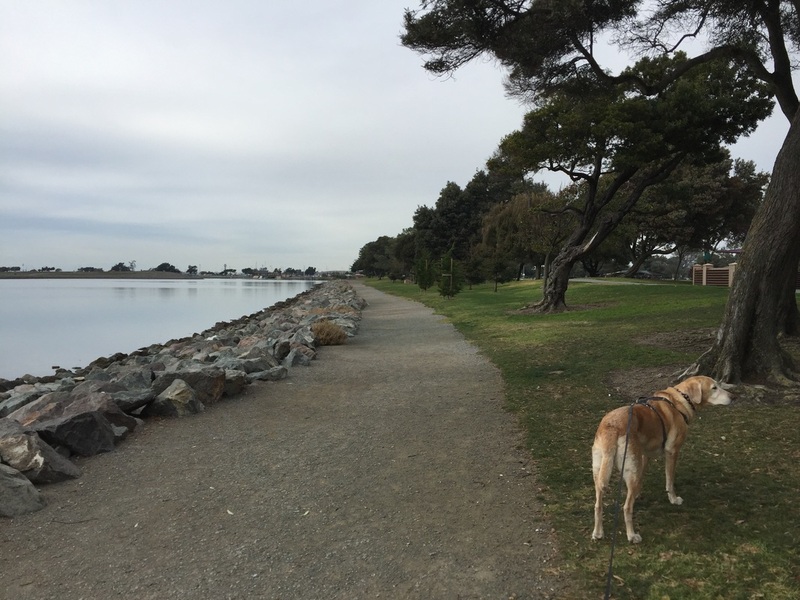 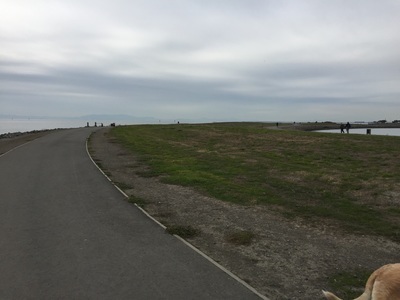 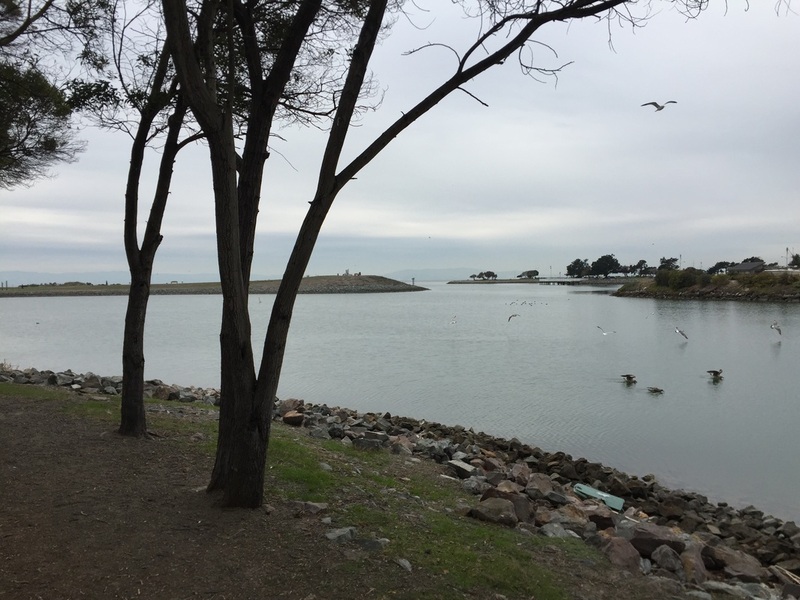 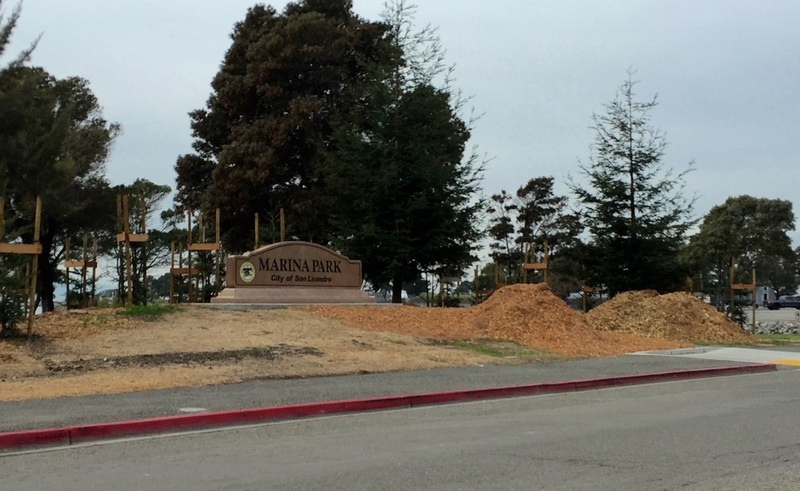 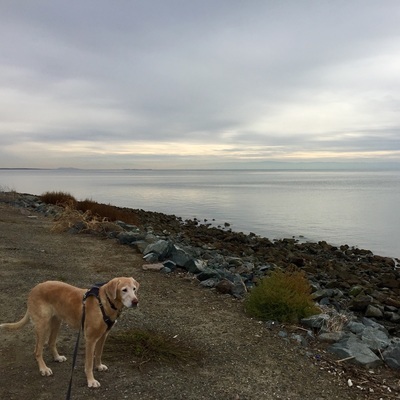 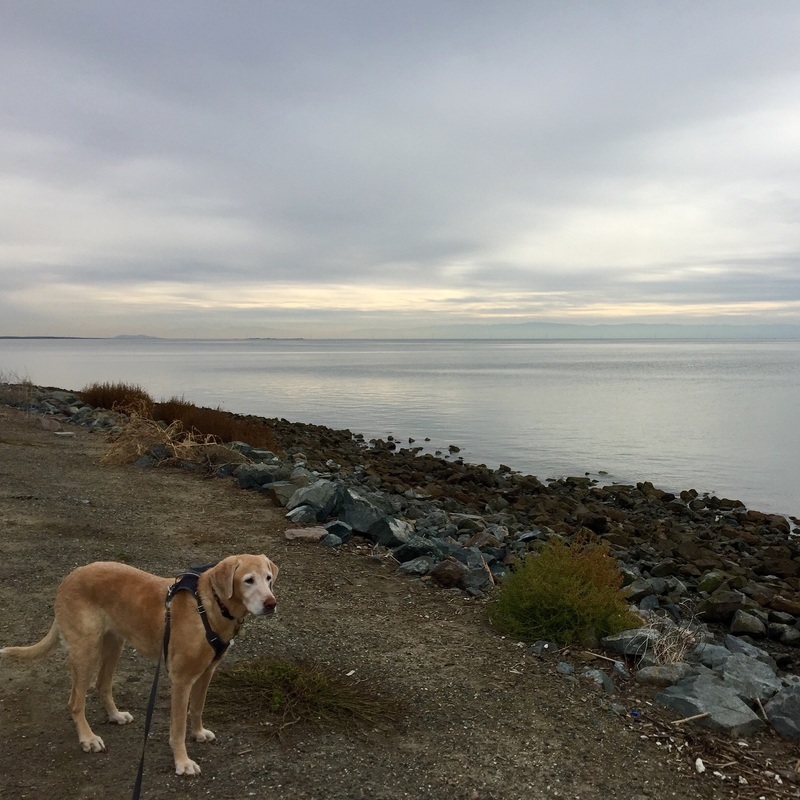 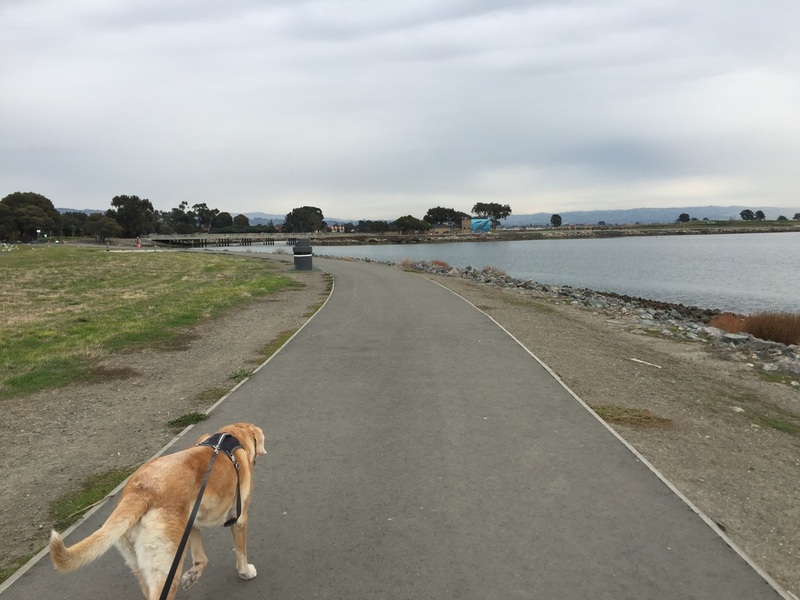 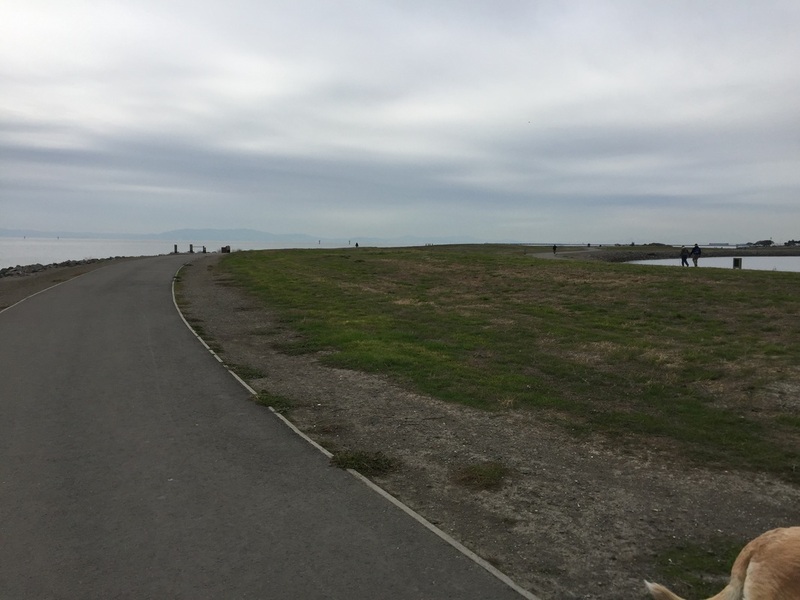 For a longer walk, you can continue past the dog park along the Bay Trail, which will take you all the way to the Hayward Shoreline. 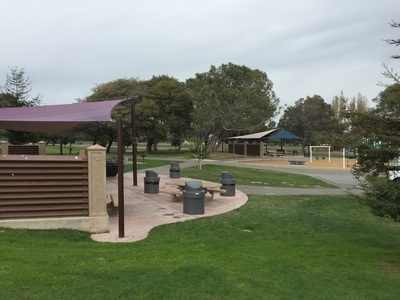 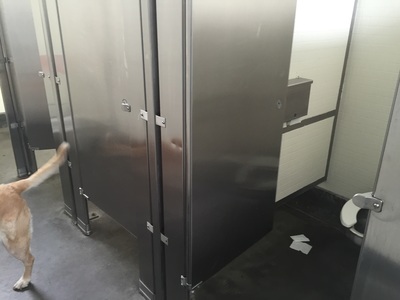 Restrooms, trash cans and running water are available in the park. 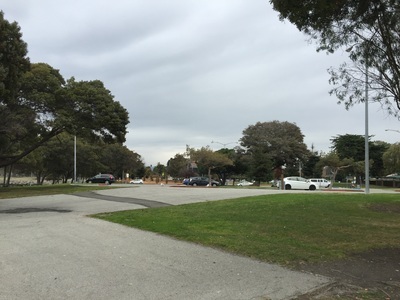 The dog park is on the south end of the park, past the EBMUD building (with whales on it). 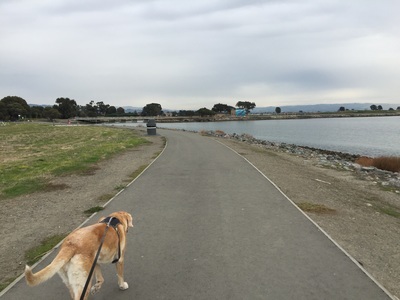 Walk along the shoreline, across the bridge and past the EBMUD building. 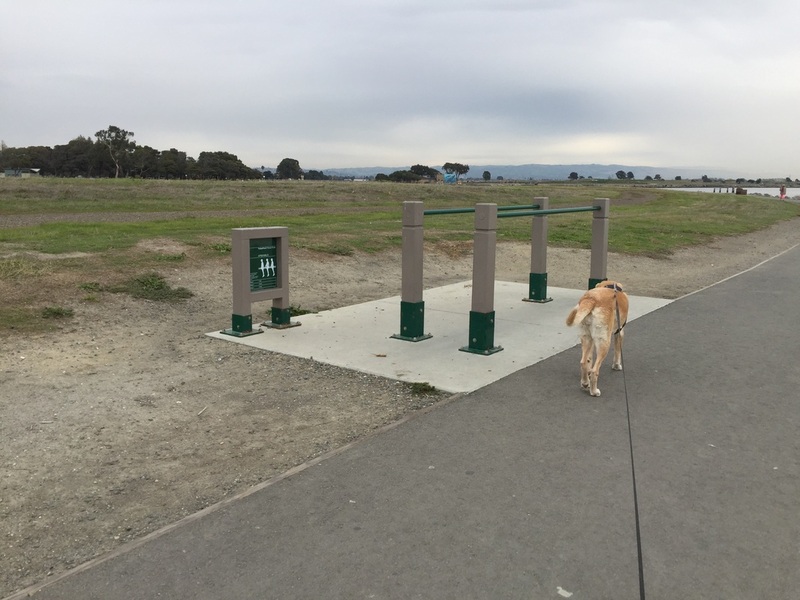 The dog park has separate areas for large and small dogs.